Keeping a clean set of pipes is a great way to reduce clogging pipes. Since clogged pipes are the number one reason for ruptures, fissures, and in-home floods, it is usually worth its weight in gold. But when people want to ensure their home is in tip top shape, they often don’t know what residential hydro jetting is. Firstly, Hydro jetting is the process of cleaning out the interior of any pipe to eliminate debris, scale, or build-up. Hydro Jetting of a pipe increases flow and clears hang up points that could cause back-ups in the future. This is an incredibly important process because it is much more powerful than old-school rooting systems which usually just break up sediment with strength alone. Residential Hydro Jetting means that there are different rules that apply to the process. When performing residential hydro jetting, it is essential to uproot the ground and find the source of the problem. Since we are uninterrupted by commercial areas, like some of our other services, it means that the process tends to be a little bit quicker. While some people still use conventional plumbing snakes for small scale rooting, hydro jetting can perform two tasks much better than snaking. It is much quicker and more thorough with breaking own sediment and waste from sewage lines. It can pressure clean the interior of the piping in a way that is virtually impossible for snaking. 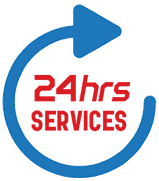 We are open 24-hours a day and are always ready to help people with their homes. We have been servicing Jacksonville for several years and truly stand behind every one of our services, be it residential hydro jetting to emergency line repair. If you or a loved one is in need of either of these services, don’t hesitate to call us at 904-574-5100!